Sister Lucy Malarkey, S.H.C.J. (formerly Mother Daniel Mary), died Dec. 1 at Holy Child Center in Rosemont. She was 80 years old and a Sister of the Holy Child Jesus for 57 years. Born and raised in Portland, Ore., Sister Lucy graduated from Holy Child Academy, where she first met the Holy Child Sisters. In 1957, two years after high school, she entered the Society of the Holy Child Jesus and made her final vows in 1965. She became well known by the religious name Mother Daniel Mary. Sister Lucy earned a Bachelor of Science degree in biology at Immaculate Heart College in Los Angeles and master’s degree in molecular biology at University of California, Irvine, in 1971 and 1974, respectively. She continued her studies at Loyola University in Baltimore, Md., where she earned a master’s degree in pastoral counseling in 1979, and at the University of San Francisco, where she received a master’s degree in spirituality in 1981. Sister Lucy began her teaching ministry at Mayfield Junior School of the Holy Child Jesus in Pasadena, Calif. and then Cornelia Connelly School of the Holy Child in Anaheim. She primarily taught science, and in the summers, she continued her biochemical research and studies. 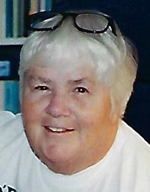 In 1978 Sister Lucy moved to Washington, D.C., where she began working in the counseling center and campus ministry at The Catholic University of America and then spent four years as a counselor and spiritual director at the Theological College. Sister Lucy returned to Pasadena in 1993 where she continued to serve in spiritual direction and counseling for individuals and couples at Jesuit Retreat Center in Los Altos and St. Mary College in Los Angeles. She also shared her time and gifts with Holy Child ministries and schools in California. In her free time she became an amateur photographer, cherished her dog Spirit, and loved the outdoors. Health conditions brought Sister Lucy to Holy Child Center in Rosemont in 2011, where she continued to offer a prayerful and joyful presence to all who knew her. The funeral Mass for Sister Lucy was Dec. 6 at New Sharon Chapel in Rosemont. In lieu of flowers, memorial donations may be sent to Society of the Holy Child Jesus – American Province, 1341 Montgomery Avenue, Rosemont, PA 19010, or make a gift online at www.shcj.org/american/donate.